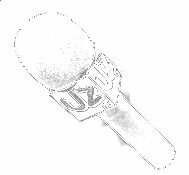 A UZ Special Report is a way to showcase your place of business, product and/or musical talent. The UZ Special Report will be 7 to 15 minutes long and consists of Interviews with The Owner, Management, Employees and/or even Customers at your Location. The Special Report can also be used to show a tour of your place of Business or demonstrate your Product or Service. If your Business is a Music Venue, Video Clips could be shown of your Band or Artist as well. It's also a great way to promote a new CD. The UZ Special Report will be shown on The Uncharted Zone.com , it will be uploaded to The Uncharted Zone YouTube Channel , Featured on The Uncharted Zone Facebook page , & UZ Twitter. The Uncharted Zone's YouTube page has had almost 6 Million views to video uploads from viewers all around the globe. UZ Special Reports on various Subjects. Please e-mail: Phil Thomas Katt or Call: 850-453-KATT For more information.